Trevor Noah took Donald Trump's 'typo' and turned it into something hilarious. Classic! When Donald Trump sent out a tweet last week reading: 'Despite the constant negative press covfefe', social media was set on fire and went into a frenzy trying to figure out what 'covfefe' meant. Many people have tried to figure it out - was it a 'typo' or was there a hidden message behind it? Even the East Coast Breakfast team hilariously managed to decipher the different meanings of 'covfefe'. 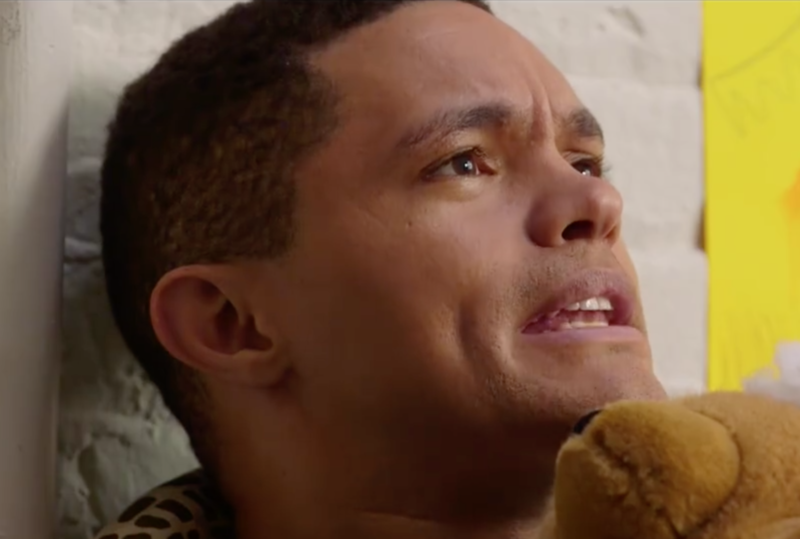 Our boy Trevor Noah, who's living it large in the USA, decided to put an hilarious spin on what 'covfefe' could actually mean by uploading a video of an hilarious African film plot created by The Daily Show team, starring Trevor. It's hilarious and it's bound to leave you in stitches!